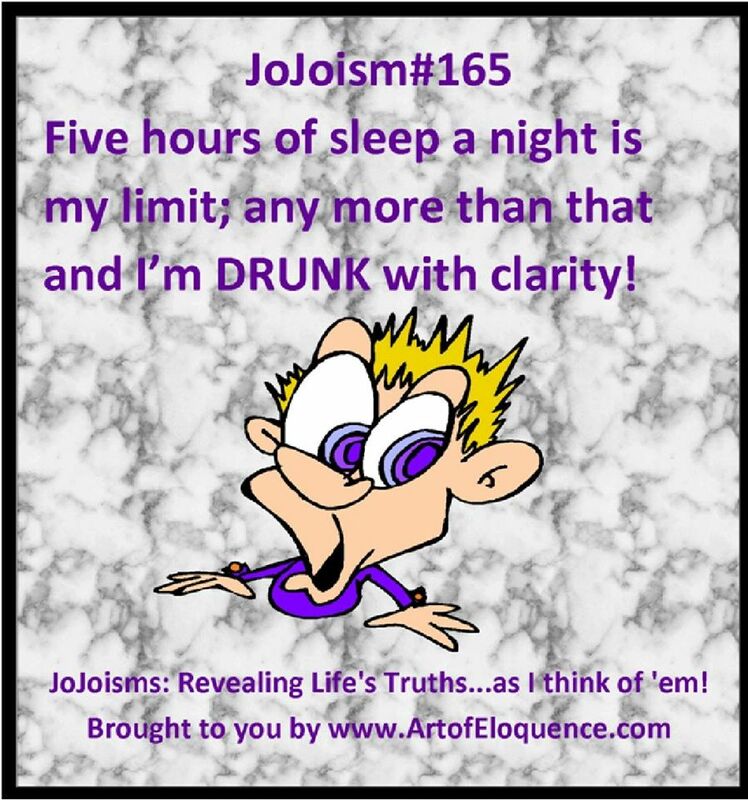 JoJo has been writing since she was nine years old. 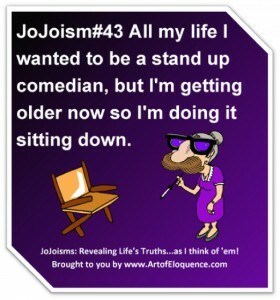 She’s written one liners (JoJoisms), poems, songs and articles that were published by several magazines like The Old Schoolhouse Magazine and Homeschool Enrichment Magazine. 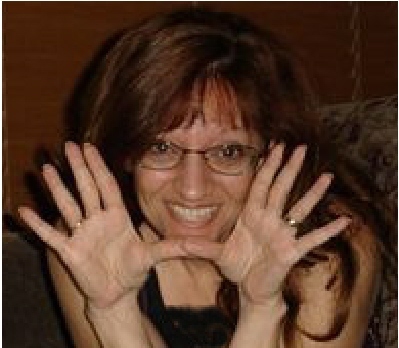 Her articles have appear on websites such as Dr. Laura.com and Crosswalk.com. and she’s authored many eBooks on communication skills for www.ArtofEloquence.com. 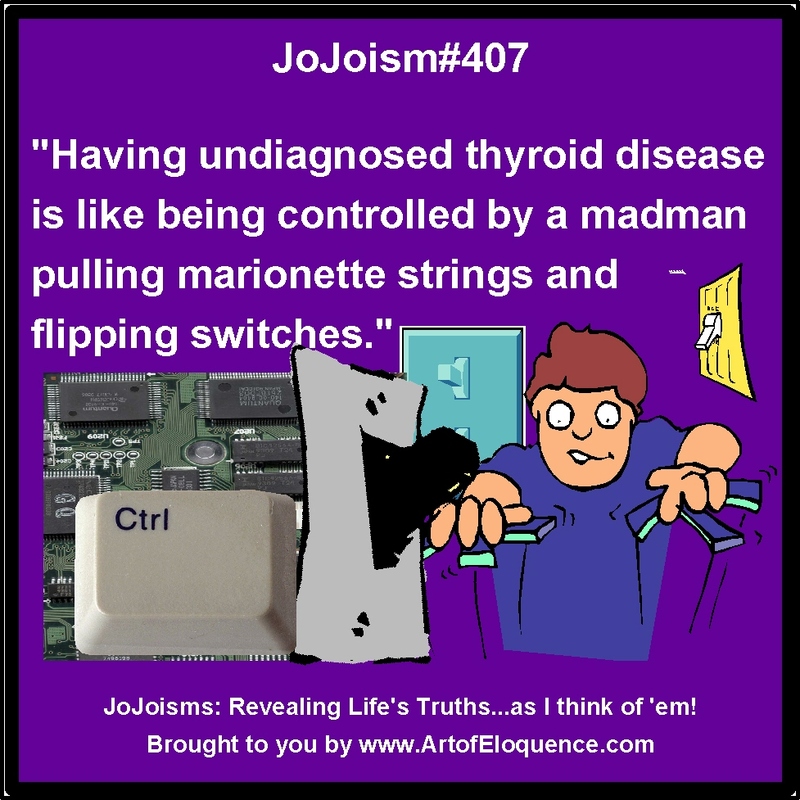 It’s her humor that sets her writing apart and has made her a sought after writer and speaker. 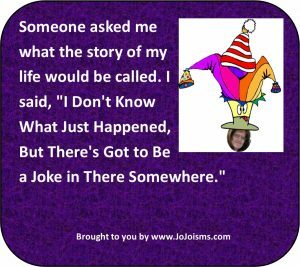 It’s that humor that she brings to her struggles that has resonated with those suffering and struggling with chronic illness and other chronic issues. 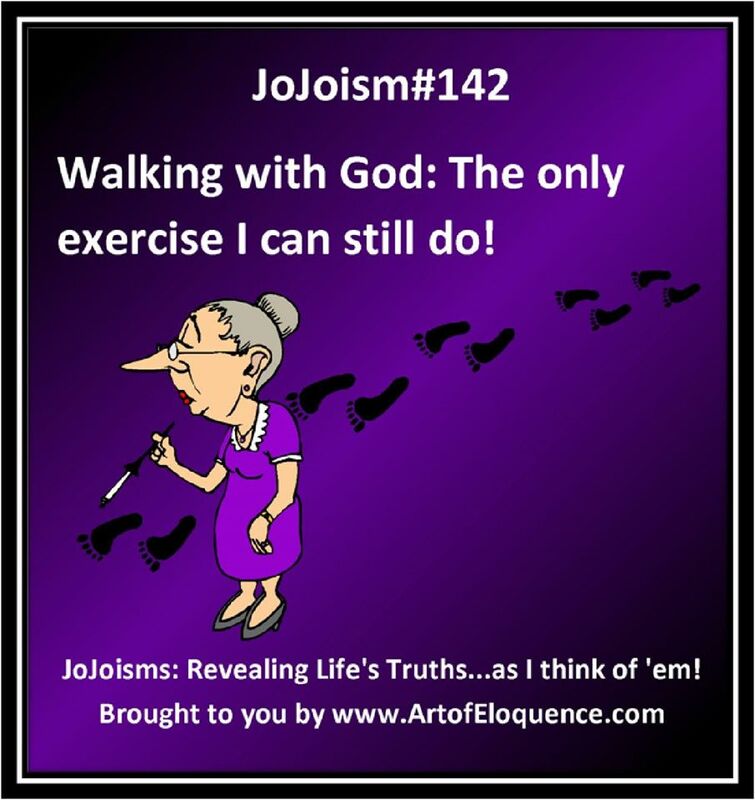 It’s her humor and her leading each struggle back to the Lord that has helped her through her own chronic issues and it’s those qualities she’s shared with you here on JoJoisms.com that have uplifted others who suffer their own chronic illness/issues. 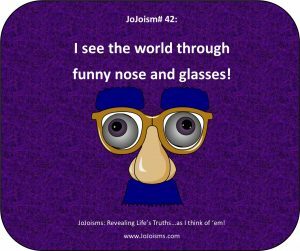 JoJo sees the humor in her own struggles and she writes what she feels knowing it probably hits home for many of her readers. She prays her writings uplift the weary warriors fighting chronic illness. 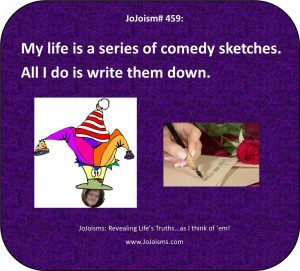 Here is a list of her current writings, but more will be added so keep coming back to check out this list when you find yourself in need of a good giggle. 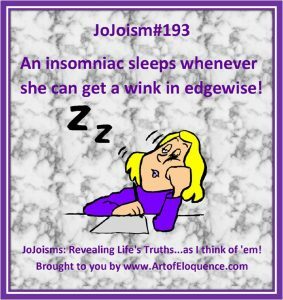 -JoJoism#499: “I’m so tired, my hot flashes hurt and my muscles have brain fog.” JoJoisms: Revealing Life’s Truths…as I think of ’em! 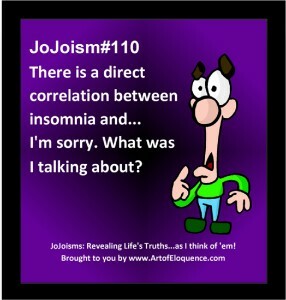 -JoJoism500: “I’m thinking of clearing out my refrigerator and putting a pillow in there. It could work. 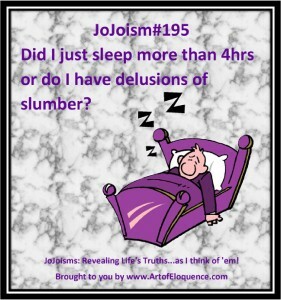 It’s a large fridge and I’m quite a small peri-menopausal nutcase!” JoJoisms: Revealing Life’s Truths…as I think of ’em! 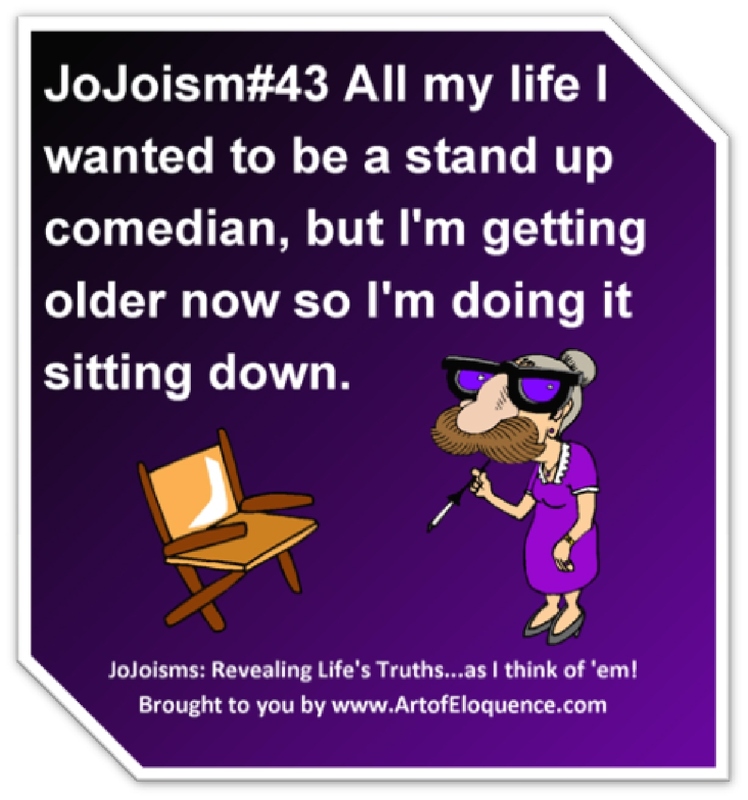 -JoJoism#253: “Humor is the joy found hidden inside of suffering.” JoJoisms: Revealing Life’s Truths…as I think of ’em! 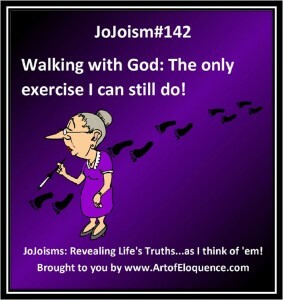 -JoJoism#496: “I’m HOT! No, wait. I’m FREEZING! No, hold on. I’m both hot and cold. No, I’m hot, but my hands are cold. No, wait. I’m HOT! 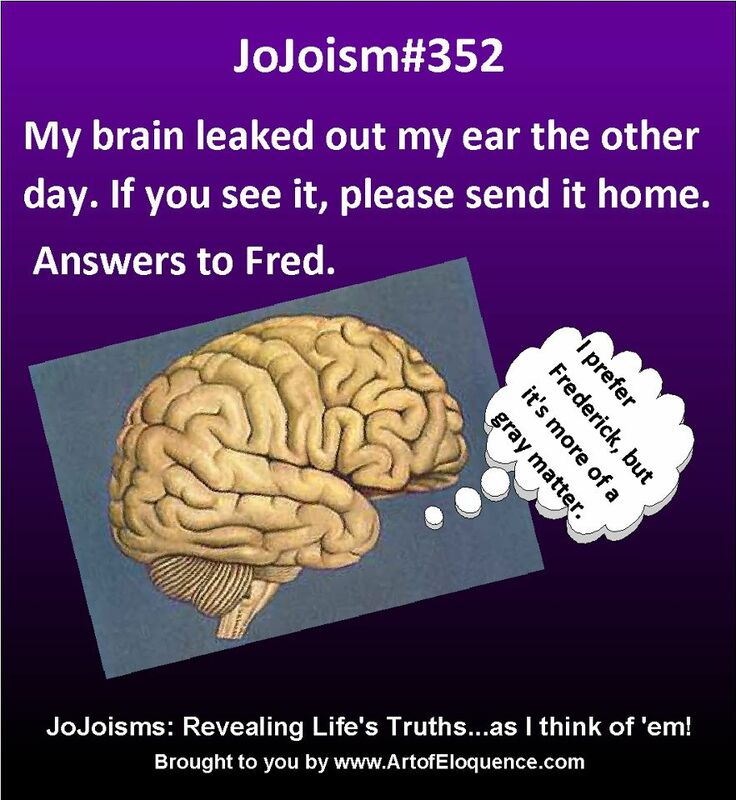 (This has been the JoJo Internal Weather Report. Tune in for further updates within the minute.) 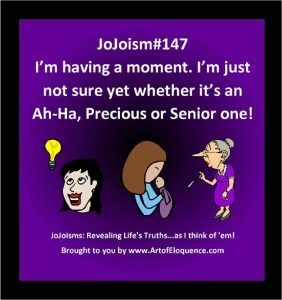 And for my next trick, I’ll cry because it’s so sad how Rice Krispies go snap, crackle, pop.” JoJoisms: Revealing Life’s Truths…as I think of ’em! -JoJoism#483: “Brain Fog Answering Machine: You have reached a brain cell that is no longer in service. 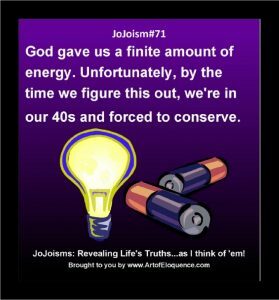 Please check the connection and think again.” JoJoisms: Revealing Life’s Truths…as I think of ’em! 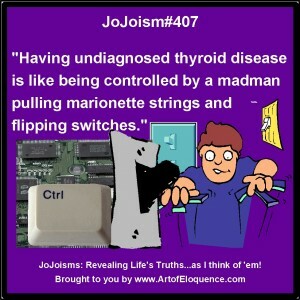 -JoJoism#484: “Brain Fog 404 Error: Brain Cells Not Found.” JoJoisms: Revealing Life’s Truths…as I think of ’em! I’m sorry to hear that, Fi. 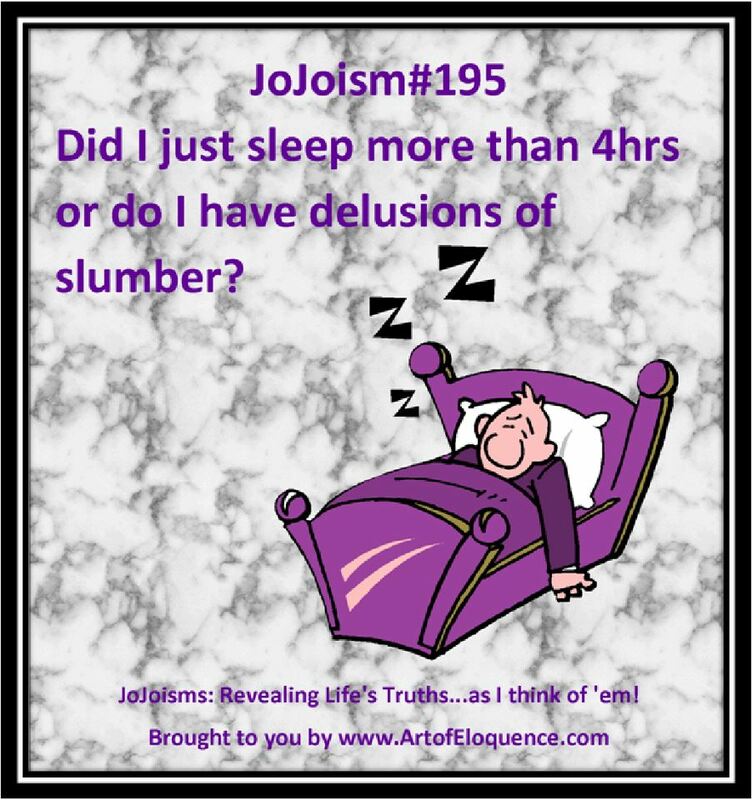 So many of us have.